It was exactly 2 yrs back that I started this blog. Last year I made a 12-Layer Cake to celebrate the first anniversary of Mriganayani. hi I am Venil from Portugal. I am so lazy to post comments usually but this time I need to mention that the pineapple rasam was a huge hit at our party. Friends were eager to get the recipe and when I sent your link, they all enjoyed your site too. These days I dont google for recipes, just pop into your site and if I dont find it only then I google. Good work!! By the way how is your name pronounced? Dear Anu, How on earth could you be so imaginative and at the same time, be patient enough to bring out such a result!! Am so happy for your family.. they are so gifted!Keep up the good work! Your innovation seems to have no limits, Anu. I am envious of all your friends there with whom you had a great party with stunningly delicious appetisers like this and much more mouth watering delicacies. The pics are looking great too and your backyard seems to be of great help to you supplying herbs, leaves, fruits, veggies and what not! Hats off to your patience. This was an email I got recently from Janu and all my efforts on this blog just felt truly rewarded. Next comes channa masala, bread upma, Rasmalai etc... Am a new-bie to cooking. Your blog satisfies budding cooks like me!! I wanted to mail you saying this but i couldn't find your ID in your blog. So, used fb to contact you. I thank you soooo much for posting step by step recipes!! Love your blog!!!!! And MY MOST FAVORITE comment of all times! This one made me laugh so hard. Love you Nags babes! The last 2 yrs of blogging has bought me close to so many wonderful people across the globe. And some close by too. I had the wonderful opportunity to meet a big group of friends in the Bay area and we've all become great friends since. Not a day goes by without a whole slew of emails between us - you girls rock and you all know that! I've made some good friends online and love my chats and IM's and phone calls with these wonderful gals that I've never met in person but know so much about! And then my best friends here who actually sometime get to eat the food I make - love you girls! And my family of course. They are my rock. All of them. I want to say 'Thank You' to all but somehow feel that it might not convey all I want to. But, still - THANK YOU to all who are a part of this blog and a part of my life. And I want to give you back something. How about a good cookbook? I wish I can give each and every one of you a gift but you know I'm not that rich! So, here's one to be won. And the winner has the choice of which one he or she would like to have. It does not matter which part of the world you are from. I will mail it out to you. All you have to do is leave me a comment here on the blog post or a comment on Mriganayani's Facebook Page. And you're in the race to win it. If you are the winner, I will contact you for your address and also your choice of one of these wonderful books. This giveaway will be open for 2 weeks and the last day to enter will be the 22nd of Dec. And I'll pick a winner along with my family on the 25th on Christmas day! This will also be a good Christmas gift for one lucky person! 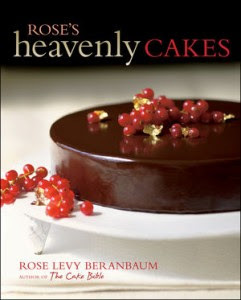 Rose's Heavenly Cakes - 2010 IACP Cookbook Award Winner. An awesome collection of beautiful cakes by Rose Levy Berenbaum. If you love baking cakes, this is a must-have in your collection. 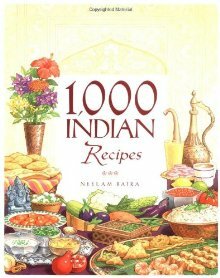 1000 Indian Recipes - By Neelam Batra. You'll have recipes for almost the next 3 yrs! A well loved Indian cookbook. 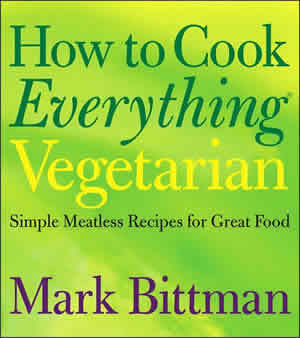 How to Cook Everything Vegetarian - Highly recommended book by Mark Bittman. Ultimate resource for vegetarian meals. Very creative and includes more than 2000 recipes. 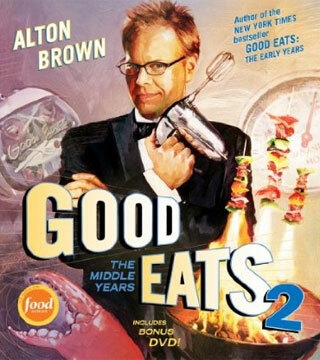 Good Eats 2 - By Alton Brown. Mr. Brown makes cooking so much fun with his bizarre stories and fun techniques. Understand the chemistry and physics (too) behind cooking. I love his shows and his books have the same level of fun stuff in them. 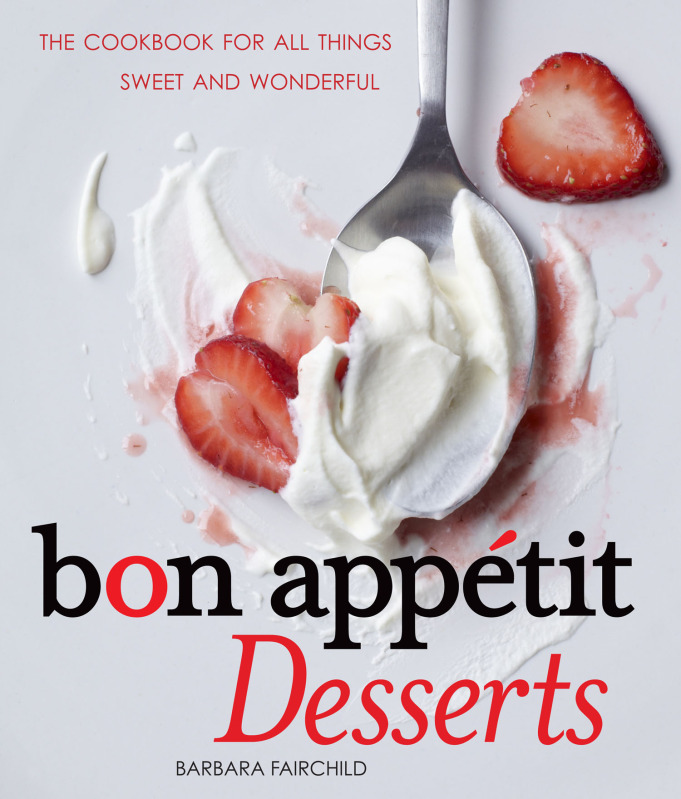 Bon Appetite Desserts - The cookbook for all things sweet and wonderful. And that is so true. One of the best compilations of dessert recipes from the magazine. With a 5 star rating, this is a sweet people that everyone wants to dish up! So, don't wait. Leave me a comment and also pass this on to your family and friends or Share it on your FB wall. Once you've done your part - think about which one you would pick if you win this! Enjoy! Peace out! And Thank You again!!!! Hearty Congratulations! Wishing you to write gazillion more posts. And let accolades shower infinitely. This is the first time I am visiting your space and it is truly wonderful. I know I will not win anything, for I never have the luck. Keep up the good work and many more recipes and years to come..
Congratulations !!! You have a wonderful blog. Continue with the good work. Congratulations on your achievement! May you have many many more! Congrats, really love your blog! very nice post...keep up the good work.Always loved your blog..
Hi Mriganayani...Congrats and wishing you many more years of inspiring others to cook....I have tried many of your recipes and they always turn out so gud...ur presentations & pictures r so eye-catching...keep up the gud work!!! Congrats Anu on ur second blog anniversary, i never missed ur post and u always amazed me with ur step by step pictures, keep rocking gal..Btw wonderful giveaway..Wishing u more and more happy and extra ordinary years in this blogsphere.. Thank you for your recipes ANu. And those are some amazing comments :) Lovely cookbooks too. Hope you celebrate many more foodie anniversaries! Congrats on your milestone.I saw this message circulating in the facebook and decided to swing by to wish you and enter in race to win a book. Hearty Congratulations on completing 2 years successfully. Cheers to many more. Anu, first of all congratulations on celebrating 2nd anniversary of your blog. Visiting your blog on regular basis is totally worth my time and more for sure. The best part of your blog is the fun/humor part and your step by step pics. I cannot get over your 12 Layer cake, it is simply mind blowing. and whoa, the giveaway is just amazing. I surely want to win that and keeping fingers crossed. Congratulations on completing 2 successful years of blogging Anu! It indeed involves lot of creativity, happy mood, patience & love to keep your site so interesting that it's on my bookmark whenever I look for a recipe. I love the way u made home made jam and I was so carried away by the way u said, " I'm dancing now" when the jam turned out so well. I made it twice and gave it to some of my close friends. Awesome creation! I live in Orange county too. We can meet sometime. Congrats on your Blog's second Anniversary !!!! Love ur blog..... and i used to live in Orange County till Sep '09 !!!! Congratulations on completing 2 successful years of blogging.Wishing you many more! Congrats Anu on the blog anniversary.Wish you many more. Congrats on ur blog's 2nd anniversary!!!! Why no Cakes for that!!!! Came here expecting the recipe for that tempting cake (heavenly recipes pic)!!!!! Love all your Cake Recipes!!!!! Wishing your blog many more happy anniversaries!!!!! wishing you the best on this day and for the blog... may you publish many many more colorful recipes with those awesome presentation ! Congrats! Very nicely drafted post..
well happy blog birthday, and i hope the great work and fun continues to enthuse and inspire you and us during the next two years. I enjoyed reading this post. Congratulations on completing two years. hey Anu,always love reading ur posts..nt only u r a great cook but a smart writer...lovely giveaway...love following u and having a visual treat of ur yummy posts is a pleasure....keep it up..
Hi...this is Venil again. I popped in to say that the Malai Kofta turned out great when I prepared it last night but now I say you are the "COOKING QUEEN". You have some great recipes, I esp. like the detailed pictures. It is a good guiding hand. I would defi go for the 1000 recipes. I visit your website frequently.I love the step by step instructions which you have for all the dishes along with the pictures. I tried your Carrot soup and it awesome. I check your website when ever I would like to try something new. You are very creative and like the way your present them to the users. Congratulations Anu!!! Am so elated that you liked my feedback!! May you continue with your food blogging for the years to come and make me drool and go crazy trying your recipes!! Came here searching for veggie puff in Google. Been here for the last hour lovely recipes, pictures and wonderful writeup. Thatz a nice way of celebrating. I was not even a 'maggi' cook an year back when i got married and came to the US, but now i am totally into cooking and trying out new recipes.. All thanks to beautiful cooks like you who have inspired me... Well, i am not saying all this to only win your gifts (would be great if i do win :)...) but this is a fact !!! Many Congtars on your blog anniversary.Wishing you many more wonderful recipe filled joyous blogging years ahead. Congratulations on your 2nd blog anniversary! My first time here.. You have a nice blog. here's to many more awesome recipes! Congratulations on the second blog anniversary! First time at ur blog, I have a lovely space. I am still in awwww's after reading and checking out ur 12 layer cake! That was amazing!! Keep blogging! Love ur space. Congratulations! Your blog is awesome. I would love to win one of those great cookbooks on desserts or cakes. Nags sent me here, and if I win, I will NOT give her the book! Congratulations on your blogiversary! Loved reading about the 12 layer cake, and am glad I got here! I have tried many of your dishes and have loved them..Congratulations and wish you many more anniversaries to come. Hey Anu..Just stumbled upon your blog…And amazed by the recipe collection and photography..
Congrats Anu! What a wonderful way of saying thanks to the food/cooking lovers..
Congratulations Mrignayani! Your blog has inspired me try out so many things....I made the black forest cake which surprised and delighted my hubby so much. And your Rasmalai methodology helped me to start making the perfect rasgulla(Wait this is what I get to hear...."its way better than what we get in the store" - my hubby!). And then some more. This is my first stop everyday to draw some inspiration for my everyday cooking and making exciting things for my kids. THanks a ton! Congrats Mrignayani on the 2nd anniversary!!!! Saw your blog through the Sweet Punch roundup!! Thanks a lot!!! Looking forward to many more tasty dishes.. Here is wishing you many more happy anniversaries of your blog ! Congratulations, you have a wonderful blog with step by step pictures. Hearty Congratulations, Anu!! I've learnt a lot from your blog and you. You are full of energy and enthu. And I feel a bit of that enthu passing onto me whenever I visit you on your blog. I'd love to win that 1000 Indian recipes by Neelam Batra. I have her veggie book and love it! And this one has been on my wish list ever since I checked it out in the library. Happy Birthday to Mriganayani, Happy Birthday to Mriganayani, Happy Birthday to Mriganayani!! PS: Im never lucky with giveaways. Have never been lucky with any such thing ever, and prolly will never be. But if I ever, even by the remotestestest chance, happen to win here, I'd love to get my hands all over Rose's Heavenly Cakes (pun intended!). My heartiest congratulations to you, for completing two wonderful years of amazing blogging. Your step by step pictures make even the most complicated recipes look as the one any amateur cook can excel at. There are a lot of dishes I have loved here... and the first one I made was the chocolate lava cake. My hubby dear loved it so much that, we made it daily for 3 days... he just loved the hot lava cake.